We are very proud of Patrik for his improved attitude towards his learning. He is becoming independent at completing tasks especially in numeracy! 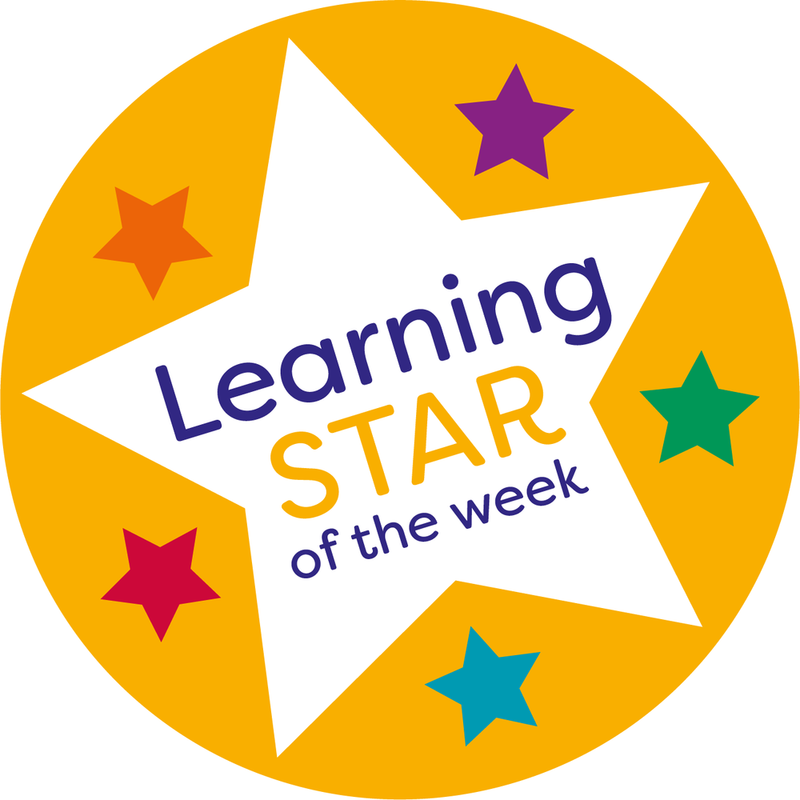 I am a learning star because I do extra home work and bring it in to show it to everyone. 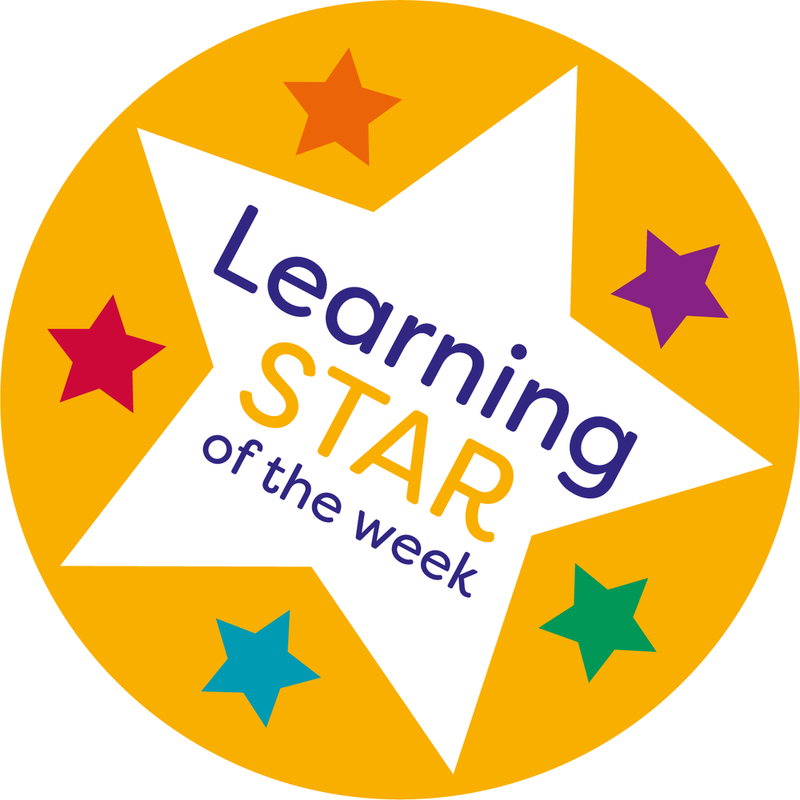 I am the Learning Star because my reading and writing has really really improved. My teacher is very proud of the additional work I did at home and my attitude to learning in the classroom. Zulakha always works her socks off and can be relied upon to do her best all of the time. She sets an excellent example to others in the class - well done Zulakha keep up the good work!!! Anam has produced a fantastic piece of writing this week, all about Florence Nightingale. Anam has thought about her spelling, handwriting and she has been able to proof read and edit her own work. A beautiful piece, well done! Bineta ALWAYS tries her best! She works hard everyday and helps her friends when they are struggling. Well done, Bineta! Aliza has taken on board ideas to help her to improve her work. She has done brilliantly! Well done Aliza! Maliha has worked really hard on her writing this week and has written a brilliant story about the Cat and the Fiddle! Well done Maliha! A brilliant role model for all. Zoya - Mrs Wilson says my English work is amazing and my handwriting has improved. Saara - Because I have been practising my reading I have gone up a level . I have achieved great results on the tests we have done in the last couple of weeks. Mr Carr and Mrs Akhtar think that this is because I always listen in class and I am always ready to learn! I am 6R's Learning Star because I have had a much improved attitude in all areas of my learning. I have even found WoWs in my reading books and been able to use them appropriately in my explanation text! I work hard and focus in class and I can see, from test results, that my hard work is helping me to be a better learner. Iraj has been working extremely hard in the lead up to SATs - her concentration has been AMAZING and if she is finding a question difficult she doesn't give up. Well done Iraj!